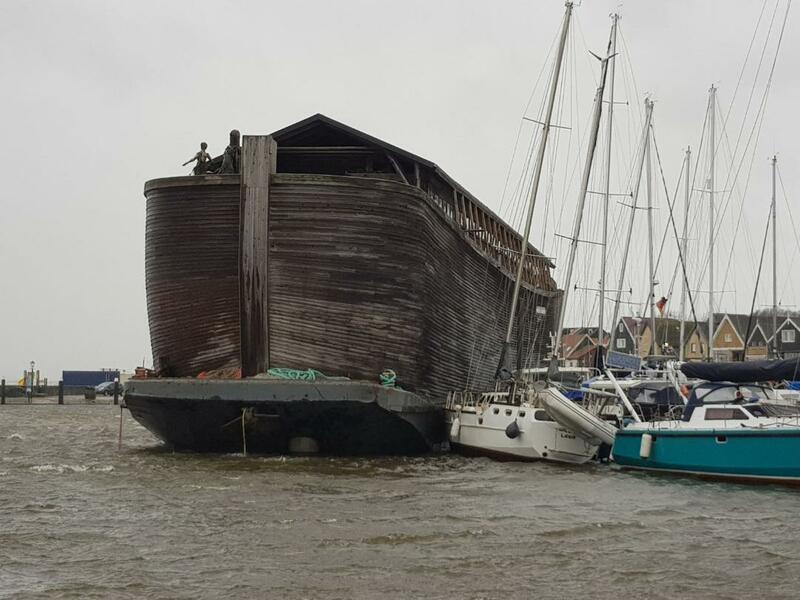 URK, NETHERLANDS (BosNewsLife)-- A replica of Noah's Ark was drifting away in a severe storm Wednesday, January 3, at the port of Dutch town Urk, smashing several boats and prompting the rescue of seven people on board the massive vessel, eyewitnesses told BosNewsLife. There were no reports of injuries, but rescue teams struggled to regain control of the wood-and-steel ark, which has no engine and measures 70 meters (230 feet) long and some 13 meters (43 feet) high. URK, NETHERLANDS (BosNewsLife)-- The local goverment of the famous Dutch town of Urk has pledged to allow an annual evangelism tent campaign after its earlier decision to ban the event led to political protests and international media coverage. URK, NETHERLANDS (BosNewsLife)–- A Dutch town known for its traditional churches and fishing community has forbidden an evangelism tent campaign, a move Christian Democrats say further threatens freedom of religion in the Netherlands.